Bird in the Bush - A blog about life in Shepherd's Bush: Help! I need somebody! "I'm an Architectural Researcher and having great difficulty finding anyone with information regarding the attached photographs and hoped you or some of your readers may just be able to clear up the mystery. I'm researching the history of a small English metal fabrication company that provided prefab all metal buildings to Australia in the 1950s. 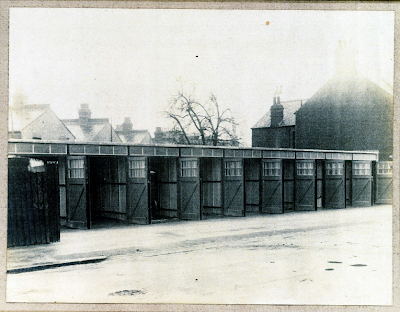 The company, E. C. Mussett & Co ( later Multipurpose buildings) are no longer in existence and information is almost non existent. 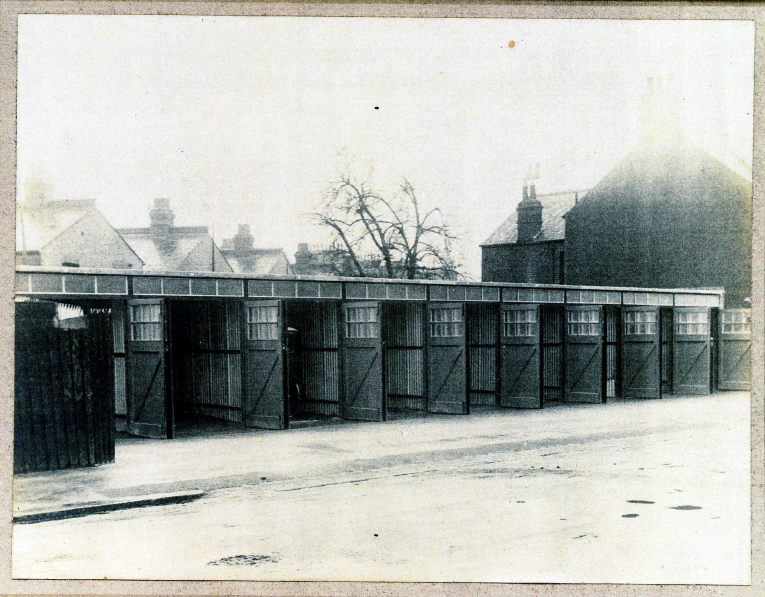 I was however recently sent some old images of their buildings which included an atypical one that I cannot identify. The attached image may be a rare and early work by the firm when they simply dealt in metal framing only. Naturally the building may have no connection with their production of the 1930s-1950s but it's inclusion amongst the other verifiable buildings is a mystery that must be solved. The title 'Mirror Studios' written on the corner of one of the images may be the company who produced the image but I believe it may actually refer to the buildings themselves. 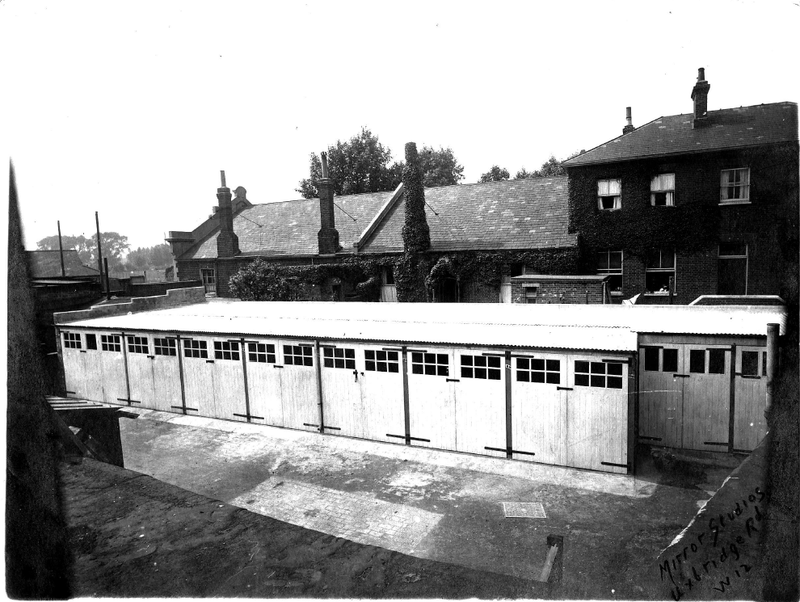 The second image was unlabeled but appears to be the front side of the same garages. I would place them at some time during the late 1930s or 40s and I imagine that the only connection with the company would be that the framing is metal? John Matthews - Melbourne, Australia"
Needless to say it would be brilliant if someone out there knew something about these buildings as it's clearly something that matters to John all the way on the other side of the world. After blogging about Bush history and buildings past and present, I have faith in the Shepherd's Bush Time Team that someone may know something. If you know anything about these buildings please do leave a comment or you can email me and I will put you in touch with John.